How to secretly hide files and folders on your Android Phone? 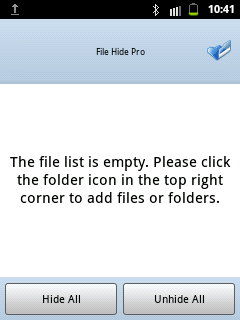 I am using this File Hide Pro by Emily Smith. If you installed this app, you will see that it's name is Tip Calc which for me is a good way to fool anyone because they wouldn't know that you are hiding something on your phone because they couldn't see that you are having a file-hiding-app. 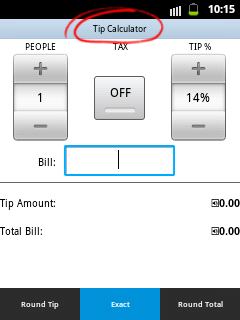 If you open this app, it will function as a simple Tip calculator. To operate it as a file hider app, tap and hold the Tip Calculator text at the top until it switches to the different look. This is how it looks after you tap and hold the Tip Calculator text. Here is the list of the folders on my phone. If you want to hide the whole folder, tap the green plus icon on its right side. If you want to hide specific file, tap on the folder where it is included until you locate the file you want to hide, then tap the green plus icon on its right side. Once you selected the files and/or folders that you wanted to hide. Got back to the main File Hide Pro menu, then tap the circle icon besides the x icon. To disable the hiding of the file, simply tap the check icon. 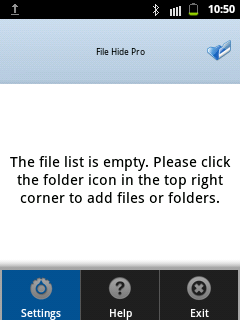 How to add password to your File Hide Pro App? It is better to limit the access of this app only by you. Add password to this app by modifying it's settings. Tap the MENU key on your phone. How can I see those hidden files again???? 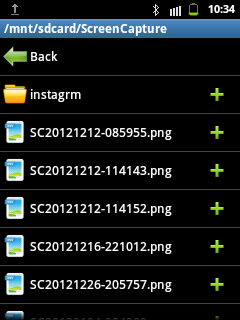 To revert the hidden file to visible, simply tap the check icon besides the x icon. "In the example we have here in the picture, the folder mov is not hidden anymore "
i want to hide the wats app and viber app in my app list of my phone samasung galaxy grand,,,, is it possible to hide the full app icon? i have got my files on sd card hidden using tip calc then i removed my card for a while n deleted the hidden file from tip calc, when i got my sd card back my files remain hidden i couldnt access them !! how can i solve this issue ?? You cannot delete the file listed in TIP CALC while the file is not available or when you removed the SD card where it is located. "The file has been hidden and cannot be removed from the list before restored." 1. tap the folder at the top right side. 3. check/uncheck the button correspond to the file. actually i tried reinstall tip cal, i can onley see my files on sd from '' my files'' menu on my phone but i cant access them, i tried openning tip calc n see if i can unlock the hidden files but they dont show up since they are hidden !! i just cant see them !! I want protect this application from others. Is this application password protected system for deleting?